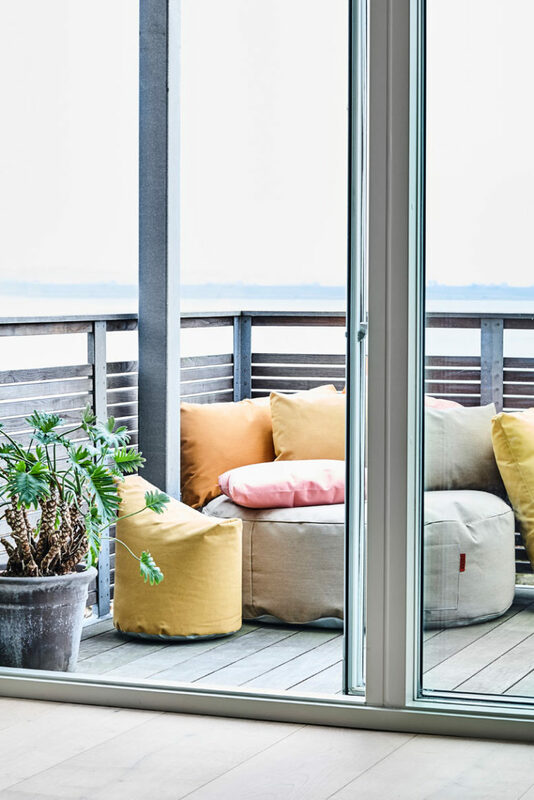 It’s still a bit chilly outdoors but it will be very cool there soon, and it’s high time to think of your outdoor décor and design this year. 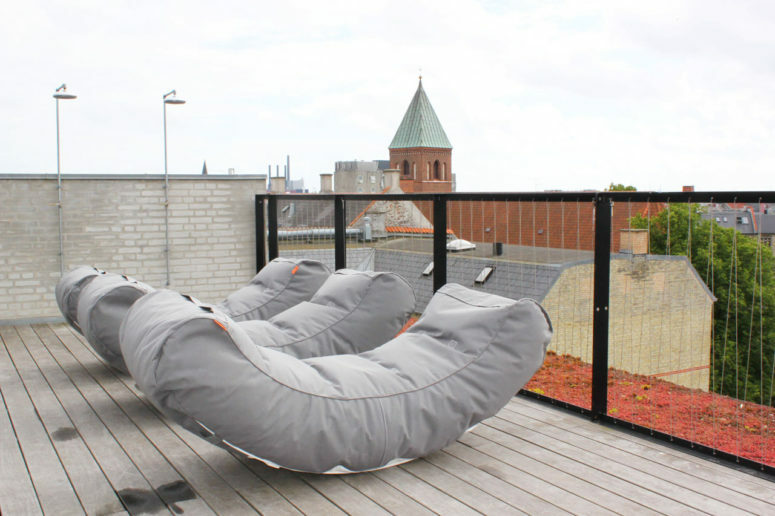 If you are looking for practical and comfy outdoor furniture without much fuss and with modern design, I have an eye candy for you! 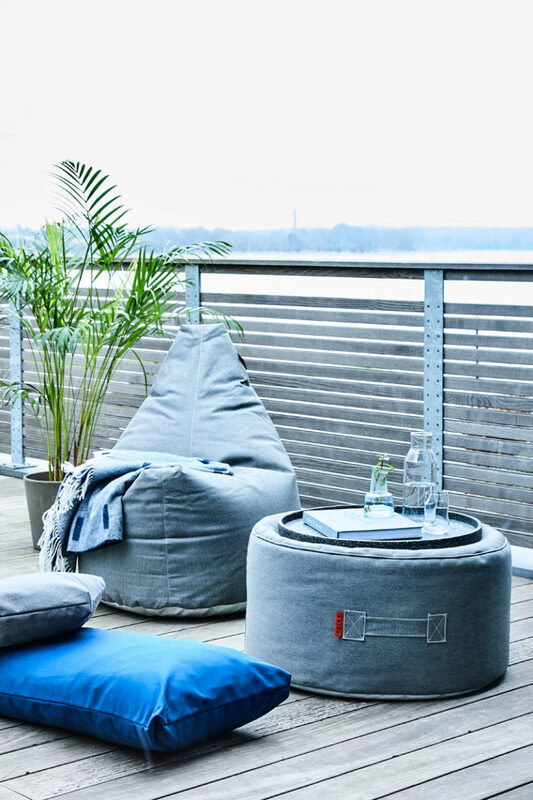 Danish brand TRIMM Copenhagen makes the furniture you want to lounge on outdoors thanks to their cozy, overstuffed nature that just begs you to lie down and relax. Their goal? 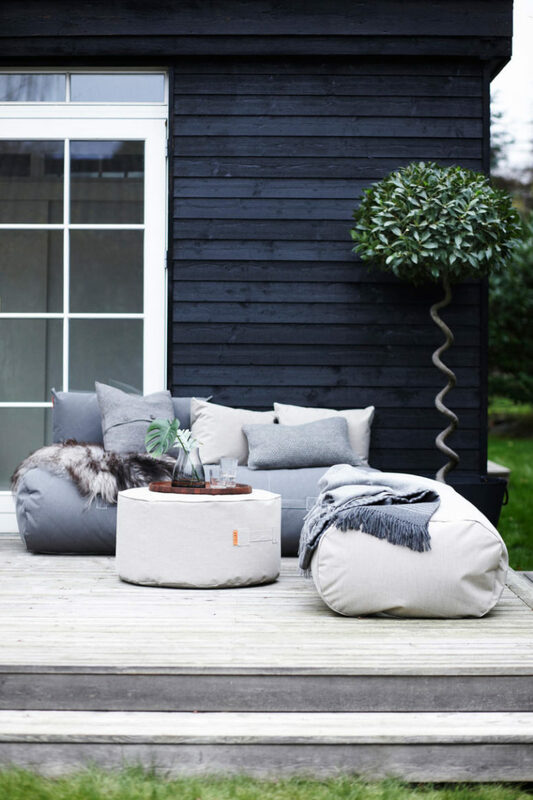 To bring a sense of ‘hygge,’ which roughly translates to coziness, to your outdoor space. 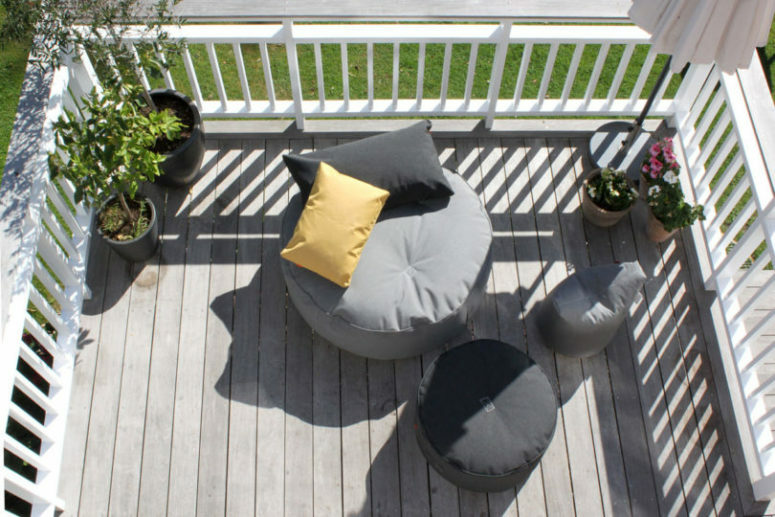 The pieces aren’t fussy or overdone, but rather a collection of simple, bean bag like cushions, seats, loungers, and stools, you can use to enjoy the company of others. So, sit back, relax, and take a peek at some of our favorite pieces. 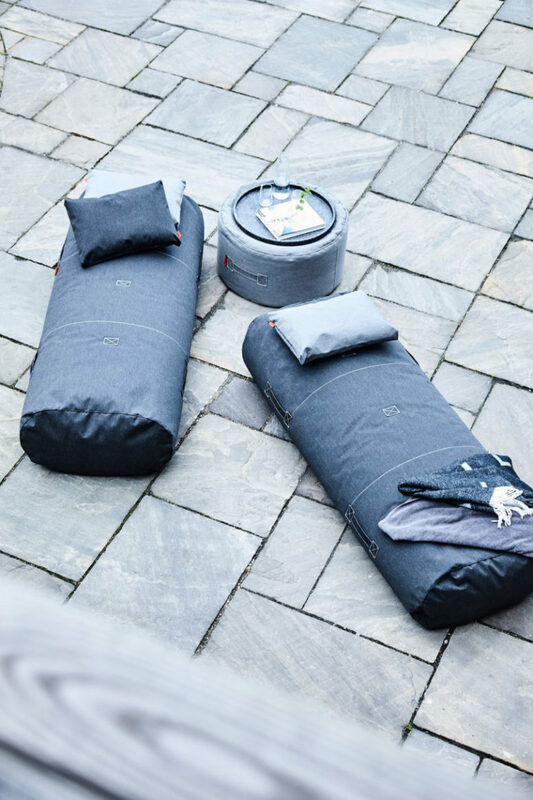 The pieces are covered in a durable coated canvas material from Sunbrella so you know they’ll hold up during crazy weather times. Plus, the material is easy to clean with just soap and water.